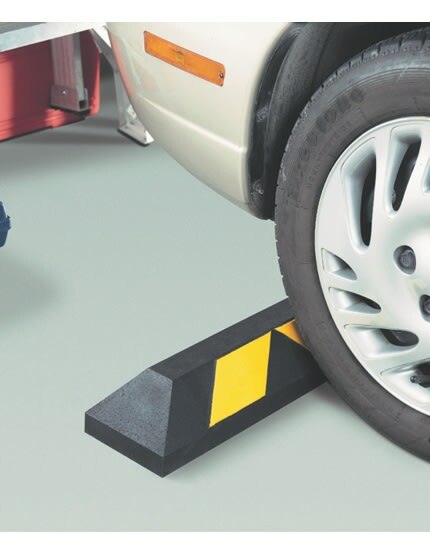 The garage stop prevents damage to personal belongings and interior walls by helping drivers stay within a designated parking spot. 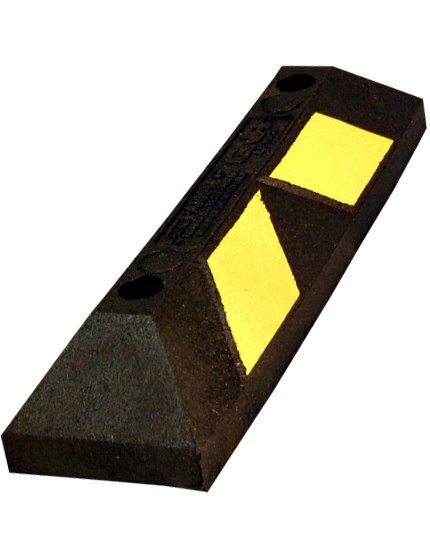 This black and safety yellow wheel stop is particularly useful for homeowners who store equipment or valuables inside their garage as well as novice and teen drivers. Made from 100 percent recycled rubber tires. 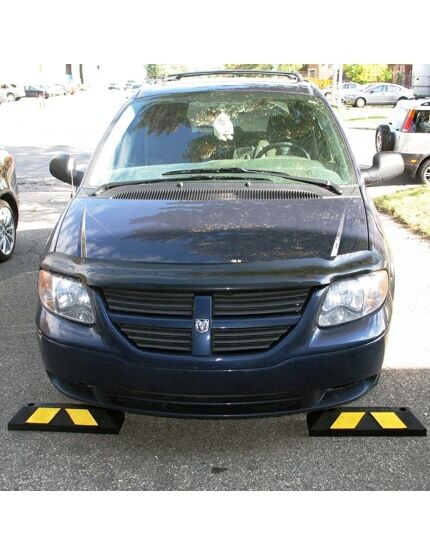 Reflective yellow stripes provide maximum visibility. Installs without mounting hardware. "Hi: I am very happy, the traffic block worked out perfect. Thank you, Jim." - Jim W.